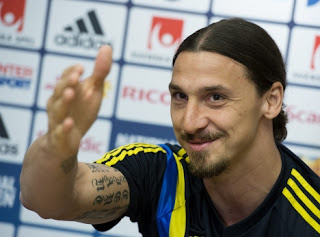 1: Dutch reporter: "Can you describe 'Zlatan' - a lot of Dutch people don't understand?" Zlatan: "I've never heard this question before, I think it's only you who doesn't understand." 2: An Italian female reporter asks if he is gay. "Come to my house and you'll see if I'm gay. Bring your sister," he responds. 3: A reporter asks what Ibrahimovic will get his wife for her birthday. "Nothing. She already has Zlatan." 4: When invited by Arsenal's manager for a trial. "A World Cup without me isn't worth watching." 6: On house-hunting in Paris after being drafted in by Paris Saint-Germain. 7: A reporter asks why there are scratches on Ibrahimovic's face. "You'll have to ask your wife that one." 8: Zlatan didn't mince his words when describing how it was to be marked by Stephane Henchoz. 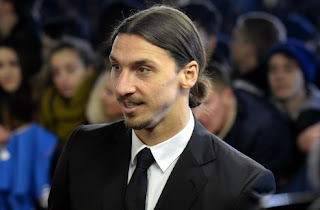 9: When discussing his former coaches, Ibrahimovic doesn't appear to be hoping for a reference letter. "Mourinho is Guardiola's opposite. If Mourinho brightens up the room, Guardiola pulls down the curtains. "An injured Zlatan is a pretty serious thing for any team."